A comfortable layer of fleece lines the entire glove. Neoprene elastic cuff provides easy on and off flexibility. 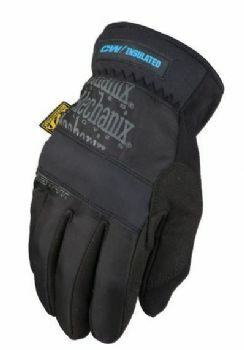 Warm-up the truck, de-ice the windows and reach for a pair of FastFit® Insulated gloves for a cold day’s work. 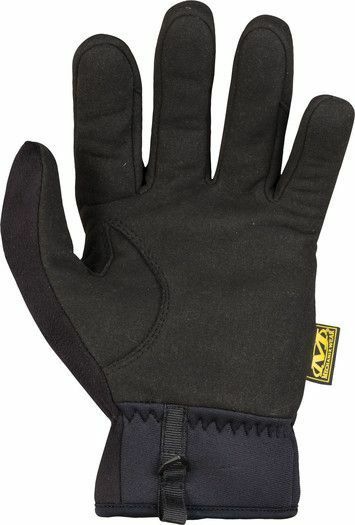 A comfortable layer of fleece lines the entire glove and insulates your hands from the brisk, cold air. The FastFit® Insulated glove is light enough to stash in your coat pocket and easy to pull on with its Neoprene elastic cuff. Our SoftShell™ water-resistant stretch fabric keeps the back of your hands dry and prevents the wind from sneaking-in during cold weather work. The two-piece palm is fleece-lined and features our durable synthetic leather so you can tackle a multitude of jobs. Stay connected to your touchscreen devices, without removing your gloves, with TouchTec® touchscreen capable technology on your thumb and index finger.